When you start learning about Marketing, one of the first things you will inevitably stumble upon are mission statements. According to BusinessDictionary, a mission statement is a written declaration of an organization’s core purpose and focus that normally remains unchanged over time – in other words, what is the reason your company exists? What value does it bring to the customers? What problem does it solve? In this article, we will look at 101 examples of B2B Marketing mission statements that will inspire your company. Each company that seeks establishing a connection with the customers should have a mission statement – it sums up your brand’s essence and purpose in a few short phrases. However, when it comes to the B2B (Business-to-Business) model, things can be slightly different. B2B-oriented companies are those who sell their products or services to other companies instead of the final consumer, which means that they should craft their mission statement carefully in order to send the right message. Today, I am showing you 101 B2B Marketing mission statements that will inspire you to build your own. HubSpot is an Inbound Marketing and Sales platform that offers companies a variety of tools, like CRM and Marketing Automation, that enhance the customer buyer’s journey and help convert leads. Make the world more Inbound. That means transforming the way businesses market and sell for the better. Oracle is an American multinational computer technology corporation that offers a comprehensive and fully integrated stack of cloud applications and platform services. Oracle, a global provider of enterprise cloud computing, is empowering businesses of all sizes on their journey of digital transformation. 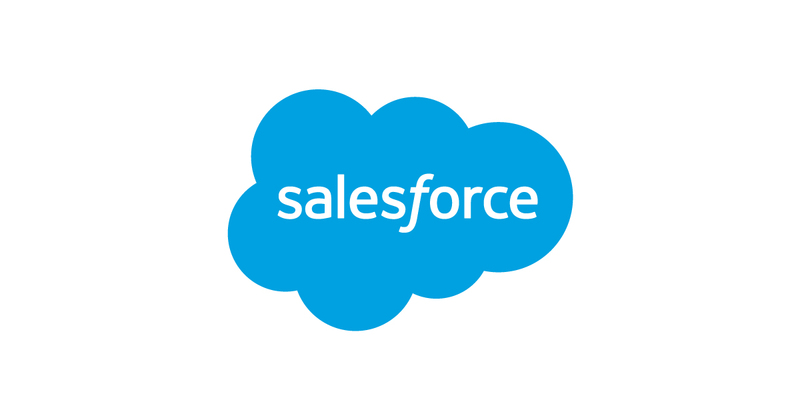 Salesforce is an American company that offers CRM Software and Cloud Computing Solutions to other companies. For more information, click here. We help our customers discover new trails to success using the #1 CRM platform. Amazon Web Services is a subsidiary of Amazon that provides on-demand cloud computing platforms to companies, individuals and governments on a paid subscription basis. The AWS mission is to enable developers and businesses to use web services to easily build and be paid for sophisticated, scalable applications. Slack is a cloud-based set of team collaboration tools and services that provides easier workflow and communication between team members. For more information, click here. Contently creates software that helps brands create and manage content and connect with freelance writers, photographers, infographic designers, and editors. We help brands tell great stories. UnBounce provides a Landing-Page-building software to brands and Marketing companies so they can improve website conversions. Zuora is an enterprise software company that designs and sells SaaS applications for companies and empowers businesses to modernize legacy order-to-cash systems. At Zuora, our mission is to help you build and run an amazing subscription business. Campaign Monitor provides simple and powerful Marketing Automation services and online surveys that help growing businesses. We deliver technology that solves complex problems in a beautifully uncomplicated way. MYMOID is a FinTech startup company that provides digital payment solutions to help brands connect with their customers. For more information, click here. We provide the most innovative digital payments solutions that increase your customers’ loyalty and connect them with your brand. We are not a company. We are an experience. MailChimp provides E-mail Marketing Automation for e-commerce businesses. Click here for additional information. Send better e-mail. We help millions of customers to find their audience, engage their clients, and build their brand. Cloudera’s mission is to allow companies to profit from all their data, where “all” is the operative world. Zenefits is an online HCM software that gives teams a single place to manage all their Human Resources needs – payroll, benefits, compliance, and more. To make entrepreneurship easier and more accessible to everyone, and to make it as easy as humanly possible for businesses to manage and care for their employees. Asana is a web and mobile application designed to help teams track their work and run their business. For more information, click here. Factorial is a SaaS focused on HR management for small and medium companies that help them automatize their tasks. We are working to change the way companies build human teams. Sprout Social is a social media management tool created to help businesses grow their social media presence and communicate with customers on social channels. Sprout Social is built on the idea that the world is better when businesses and customers communicate freely. We exist to help streamline and enhance these conversations. Magento is an open-source e-commerce platform written in PHP, recognized as the leading platform for commerce innovation. Magento gives you the flexibility to customize and extend your platform to create unique, differentiated brand experiences. Helix Websites is a result-driven web design and creative Marketing agency focused on responsive web design, e-commerce, and WordPress. Helix Websites produce and manage websites and and e-commerce solutions that deliver our clients competitive advantage, enhanced branding, and increased revenues. Gorilla Group is an award-winning commerce service provider and one of the industry’s fastest growing e-commerce agencies. We strive to work smarter, faster, and more collaboratively than anyone in the industry. We create high-performing digital commerce solutions that deliver results. IBM manufactures hardware, middle-ware and software, and offers hosting and consulting services in areas ranging from mainframe computers to nanotechnology. To lead in the creation, development and manufacture of the industry’s most advanced information technologies, including computer systems, software, networking systems, storage devices and microelectronics. We translate these advanced technologies into value for our customers through our professional solutions, services and consulting businesses worldwide. The world’s leading prototyping, collaboration and workflow platform for design-driven project management. We help companies of all sizes unlock the power of design-driven product development. InVision gives teams the freedom to design, review and user-test products – all without a single line of code. Workday is an on-demand financial management and human management software vendor. They provide real-time visibility into data. Workday was founded on a disruptive idea: to put people at the center of enterprise software. Cisco systems is a multinational technology conglomerate that develops, manufactures and sells networking hardware, telecommunications equipment and other high-technology services and products. Melexis is a global supplier of micro-electronic semiconductor solutions and communication integrated circuits. Melexis is a global supplier of micro-electronic solutions and stands for engineering that enables the best imaginable future – a future which is safe, clean, and comfortable. All of these aspects are reflected in the applications that our technology empowers. Intel’s innovation in cloud computing, data center, Internet of Things and PC solutions is powering the smart and connected digital world we live in. New Relic is an American software analytics company that lets teams measure and monitor the performance of their applications and infrastructure. Our mission is to catalyze a global market for ideas, information and money that democratized aid and philanthropy. Pulsate is a startup company that develops mobile Marketing software for apps. Pulsate is on an exciting journey to create world class software. We remain design-driven to deliver exceptional customer experience for our users. SkyGiraffe empowers enterprises to mobilize their workforce, and enables customers to deliver mobile apps at unprecedented speed and scale. We make enterprise mobility a reality…in a single day. Confluent, founded by the creators of Apache Kafka, delivers a complete execution of Kafka for the Enterprise, to help you run your business in real time. Confluent’s mission is to bring the power of Kafka to companies of all sizes so others can replicate the success we had with it at LinkedIn. Notey/Connect is a content management platform that integrates seamlessly with any website, and transforms brands into publishers. We’re dedicated to helping people stay in touch with their interests, their community, their world. 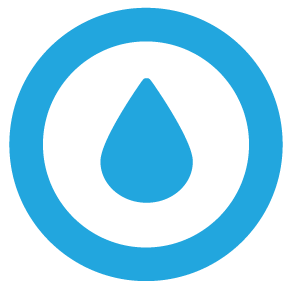 RAIN is a full-service platform that provides a powerful solution for creating and managing mobile marketing campaigns. It offers an ad network that help small businesses reach local customers by targeting ads based on a mobile device’s GPS location. Rain is the easiest way to promote your business to customers who are nearby. Hotelerum aims to bring hotels and customers together, cutting out the middleman. SolvedOut is a group of experienced full-stack developers ready to build tailored solutions for companies of any size. We deliver complex IT solutions to aspiring companies. Little Hotelier is an all-in-one reservation and accommodation management system specifically thought about, designed and built for B&B’s, guest houses and small hotels. We are helping hospitality business owners and managers play the web professionally, saving time and resources. Sabre is a global technology company providing innovative solutions that lead the travel industry. An innovative technology company that leads the travel industry by helping our customers succeed. eZee Technosys is a complete hospitality solution provider with a comprehensive range of innovative solutions exclusively for the hospitality industry. CloudBeds is a browser-based, award-winning hospitality management software that simplifies the working life of hoteliers. Juniper provides software and consultancy solutions for the tourism industry. Juniper is an Internet know-how and Technology provider that, through the use of innovative solutions, improves the Commercial and communication processes between corporations and their clients, leading to higher profits for out clients. Intertek is a leading Total Quality Assurance provider to industries worldwide, with a network of more than 1,000 laboratories and offices. To exceed our customers’ expectations with innovative and bespoke Assurance, Testing, Inspection and Certification services for their operations and supply chain. Globally. GuestCentric is a Software-as-a-Service vendor in the hotel industry, and an all-in-one hotel digital Marketing solution. To empower hoteliers with technology. AppNext is a leading mobile discovery platform that provides mobile publishers and app marketers with the end-to-end technology solutions for premium monetization and app growth. Helping people experience apps at the right moments throughout the day. AnyClip is an AI-driven video content data monetization pioneer that enables leading studios, broadcasters and premium publishers to maximize the value of their content. AnyClip’s mission is to heighten viewer engagement, utilizing its metadata expertise to provide a personalized viewer experience. Apptimize empower product teams to efficiently run A/B tests, rollout and manage new features, and deliver personalized user experiences. Our mission is to give people the power, the control, and data to make better apps, all while maintaining high performance of the native experience. eComChain is a cloud-based eCommerce solution, designed to connected businesses to consumers online. Our mission is not just to satisfy our customers, our intention is to amaze those we do business with. BeWonderful is a digital Marketing agency based in the UK that help brands define their identity and design business-growing strategies. We’re a digital agency helping businesses evolve through digital marketing and technology. All Channels Communication Group is an award-winning Bulgarian company that provides advertising and public relations services. To make everything and everyone better – we, the market and the society. Havas Media is the main media brand of Havas Media Group and operates in 144 countries, providing Digital Media Planning and Buying, Branded Media, Content Creation, and other services. Our mission is to unite brands and people through meaningful connections and drive business success. Denvir Marketing is a full service Marketing agency operating in Scotland with more than 14 years of experience. To make everything we touch “greater than great”. Ayima Search Marketing is a global specialist Search Marketing consultancy offering Enterprise level Organic Search and Paid Search with high regard for service, performance and results. Our mission is to cut through the noise rather than add to it, using inventive methods to communicate with your customers via content that has mass media appeal. Milestone Inc. is a leading provider of digital marketing software and services for hospitality, retail and finance. At Milestone, we help clients connect with consumers who dream about travel, seek the best products and services, or manage their finances with the advice of professionals. Turchette is a full-service Marketing and Public Relations agency that offers a wide variety of creative, account management, public relations and media services, all in-house. e-Intelligence is an award-winning full service interactive agency offering end-to-end solutions for clientele across multiple verticals. Strategy Plus is an online Marketing agency specializing in Inbound Marketing, generation attention for clients by managing their websites, SEO, social media management, content and e-mail marketing. We aim to build long-term relationships in order to help SMES grow their business online in a cost-effective manner. The Digital 360 Agency provides Strategic Brand Management Consulting and Enterprise Advisory Services to corporate customers. We develop and implement strategies and programs that make brands more valuable. 1SEO Digital Agency is a company that provides SEO, PPC, Social Media and Web Design solutions to companies. 1SEO.com endeavors to enable businesses all over the globe to realize their potential. Kerry Group provides Taste & Nutrition technologies and systems to the global food, beverage and pharmaceutical markets. To be a world leader in Taste & Nutrition serving the food, beverage and pharmaceutical industries, and a leading supplier of added value brands and customer branded foods to the Irish, UK, and selected international markets. McKinsey & Company is a global management consulting firm that serves leading businesses, governments, non-governmental and non-profit organisations. Our mission is to help our clients make distinctive, lasting, and substantial improvements in their performance, and to build a great firm that attracts, develops, excites, and retains exceptional people. Endurance International Group empowers small businesses worldwide with products and technology to vitalize their online presence. Our mission is to bring together technology, people, products and data to create solutions that empower small businesses. CA Technologies provide business management software and solutions to help customers deliver the means to deploy, monitor and secure their applications and infrastructure. We eliminate the barriers between ideas and business outcomes. ABeam Consulting is a Tokyo-based company that provides consultancy for Management Strategy, HCM, Business Transformation, and Digital Marketing. We bring success to our clients, continuously contribute towards enhancing their corporate value, care for people and deliver results through innovation. Penta Consulting is the number one UK based IT and Telecoms recruiter in the world, delivering innovative and flexible recruitment strategies. Our mission statement is to ensure that we provide the right resources at the right time to maximise our clients’ business potential. We don’t want to be the biggest but we do want to be the best. Snowflake is the leading data warehouse built for the cloud, and a fully-managed service with a pay-as-you-go model. To safely and efficiently store, transform and analyse business data so anyone can easily and quickly gain data-driven insight. HeptaSense provides business intelligence software and management tools for businesses. HeptaSense was born with the mission to help companies improve their customer experience. Viterbi SEO MGMT provides web development services for both small businesses and startup companies. We help startup companies and small businesses by providing turnkey online marketing solutions. Gusto provides payroll, benefits, and Human Resources management to modern companies. To create a world where work empowers a better life. Betamore is an award-winning co-working space, incubator and campus for technology and entrepreneurship, and a home to more than 120 companies. To make Baltimore a leading global entrepreneurship destination. GitLab is an open-source tool used by developers to create and manage code bases collaboratively. Change all creative work from read-only to read-write so that everyone can contribute. LeadGenius combines custom data and machine learning to equip sales and marketing teams with custom B2B lead data at scale. Our mission is to help every great business in the world identify and connect with their best customers while giving the underemployed access to new opportunities. Bench is the leading integrated performance marketing platform used globally by top brands and agencies. We’re a bunch of marketing thinkers and tinkerers who believe that the combination of human smarts and machine intelligence can take your marketing to new heights. ControlUp provides one simple console to manage and control virtual and physical servers and desktops. By harnessing the power of big data analytics from thousands of organizations we find patterns, detect problems, establish dynamic baselines and generate actionable insights – opening the door to smarter IT. DataDog is the leading service for cloud-scale monitoring used by IT, operations, and development teams. The DataDog team is on a mission to bring sanity to IT Management. dLocal is the only 360 payments technology platform for Latin America and other emerging markets. We strive to exceed our customers’ expectations with new features, new markets, business intelligence, and strategic advice. GlassBox Digital is the only enterprise digital analytics platform to automatically record and index 100% of every website visit – on both web and mobile applications. Our aim is to make digital space transparent by capturing, recording, analyzing and replaying each and every one of your customers’ digital sessions. Guru is a knowledge management solution that keeps your customer-facing teams up to date, consistent, and confident with trusted knowledge accessible in every application they use. Our mission is to reinvent the way your team shares knowledge. JumpCrew helps businesses grow and protect their online presence on all the major social networks. Our mission is to promote and protect your brand’s reputation and build brand awareness. mParticle is a customer data platform that helps companies integrate and orchestrate omnichannel experiences. mParticle aims to enable companies to win in every key moment of the customer journey. Nextiva is a cloud-based communications company that helps businesses replace landline phones with digital internet phone systems. We provide you with great service so that you are able to deliver the same level of exceptional service to your customers. OutReach is a sales engagement platform that manages the communication between businesses and prospective clients. Today, we are a determined team on a mission to change the world of sales with technology. ShopKeep puts your cash register on an iPad, providing automatic inventory tracking, employee management, and real time sales reporting. To rescue independent business owners from the nightmare of archaic POS, and replace it with something beautiful, simple, and affordable. TINYpulse is an employee engagement platform that gives leaders online tools to measure and improve company culture. Our mission is simple: happier employees. Tipalti is the only supplier payments automation solution to streamline all phases of the AP and payment management workflow in one holistic cloud platform. Tipalti makes it painless for accounts payable departments to manage their entire supplier payments operation. TRIPActions is the only mobile-first, end-to-end travel management software that improves travel management booking experience. To empower you with a new class of technology, tools, and resources to help you run an effective travel management program. AppBoy is a mobile Marketing company that develops customer relationship management and mobile marketing automation software. We are dedicated to bringing humanity and unity to brand-customer relationships through work. AhoraPulse is a social media management software for businesses that includes features like content management, reports, contests, and user ranking and scoring. At Agorapulse, we are a people-oriented company. We are straight shooters and we believe, quite simply, that great people do great work. Zoho CRM is an online customer relationship management tool and SaaS applications. We create beautiful software to solve business problems. Our mission is to empower every organization — company, non-profit, or government agency — to gain and retain customers, clients, or constituents. 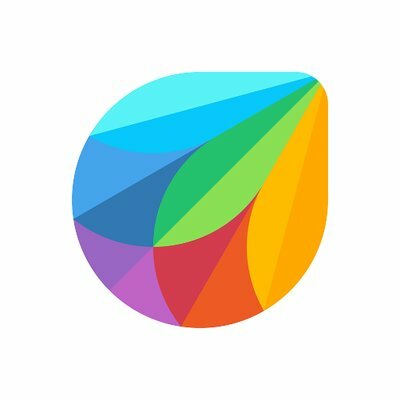 Freshworks Inc. is the parent company behind the suite of products which includes Freshdesk, Freshservice, Freshsales, Freshcaller, Freshteam and Freshchat. At Freshworks, we believe your business deserves better software – software that’s ready to go, easy to setup and use, and requires minimal customization. PipeDrive is a CRM and pipeline management tool that helps you focus on actions that matter. We have a bit of a mission to make the World’s best sales software. InfusionSoft is a private company that offers an e-mail marketing and sales platform for small businesses, including products to streamline the customer lifecycle, customer relationship management, marketing automation, lead capture, and e-commerce. To create and dominate the market of sales and marketing software for small businesses. Marketo is a powerful marketing automation software that helps marketers master the art and science of digital marketing to engage customers and prospects. To help marketers everywhere engage their customers in a more valuable, personalized way. Checkfront is an online booking system that enables businesses to handle their inventories, centralize reservations, and process payments. We still wake up as eager as we did on day one to have the best online booking system available. We want to take the work out of managing the complexities and administration of service-based bookings, and allow owners to focus on their customers and what they love. Recurly provides enterprise-class subscription billing management for thousands of businesses worldwide. To reinvent how subscription-based companies achieve success. Formstack is a data management solution that helps users collect information through various types of online forms, including surveys, job applications, event registrations, and payment forms. Formstack, a software-as-a-service (SaaS) company with a mission to empower its users through simple and elegant tools that remove the complexity from everyday business processes, today announced the addition of a new product add-on, Workflows. PocketSuite is the easiest way to run your small business from your smartphone through scheduling, invoicing, payments, contracts, online booking, and more. To empower small service business owners with technology to run their business from their smartphone. Intercom is a US-based software company that makes a customer messaging platform. The company allows software businesses to chat with prospective and existing customers within their app, on their website, through social media, or via email. Tito is a powerful event software for pre-sales, sales, events and post-events ticket management. To provide a stress-free registration experience for organizers and attendees. Chargify combines great technology, subscription expertise, and a customer service ethos to solve real-world problems, and is committed to becoming the operating system for your subscription-business. Volusion provides an all-in-one ecommerce solution for all business types, ranging from startups to large enterprises. To connect people with innovative and powerful e-commerce solutions to empower their business growth. Baremetrics provides one-click, zero-setup SaaS analytics for Stripe users. To make companies always be in the loop with their business. Paycove integrates with your CRM to fully automate the invoicing process. Automate your invoicing. Get paid faster. Increase your cashflow. Workable is an all-in-one recruiting software that provides powerful online tools to source and manage candidates. To help you hire better as a team. PrestaShop is a free, open source e-commerce solution for building online stores. PrestaShop was founded in 2007 with a mission to provide world-class e-commerce software through open source innovation. These were 101 B2B mission statements that serve to inspire companies for choosing a phrase that defines their purpose on the market. If you are a B2B company and you are just starting, these examples could give you an idea on how to define your mission statement. Thank you for reading this article, stay tuned for more! Next Post UBER: Are the days of the $68-billion-valued startup counted?